ColorfulCloads is a beautiful weather app which can accurately forecast the future rainfall, air pollution and more weather conditions. The most beautiful part of this app is a flat weather illustration on its Home page. And this beautiful illustration is also appropriately designed with smart interactions. These all settings make its weather forecasts extremely beautiful, interesting and eye-catching. Moreover, a large number of weather icons are used in this app and you can easily find them all in Mockplus which offers you over 2000 vector icons. 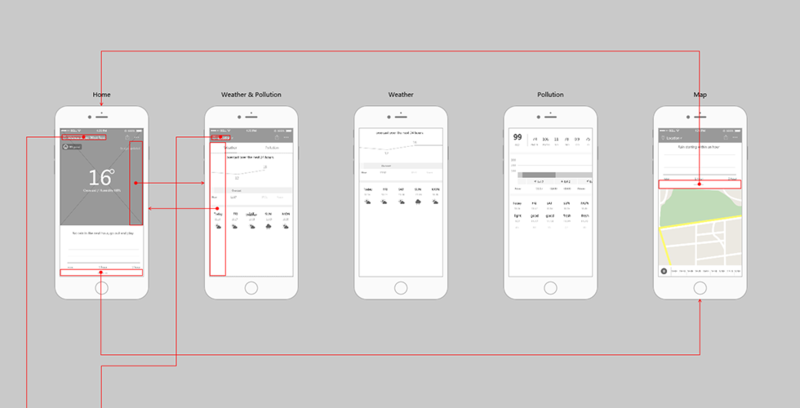 Pages of this prototype: Login, Home, Weather & Pollution, Weather, City, Help and Settings, etc. All pages of the album (9 pics in total) can be downloaded from here.